The parties to this Agreement are the United States of America and the City of Philadelphia (City) and the Philadelphia Police Department (PPD) (collectively, the Parties). The United States Department of Justice (Department) is responsible for administering and enforcing Title II of the Americans with Disabilities Act of 1990 (ADA), 42 U.S.C. §§ 12131-12134, and its implementing regulation, 28 C.F.R. Part 35, which require that no qualified individual with a disability, by reason of such disability, be excluded from participation in or be denied the benefits of the services, programs, or activities of a public entity, or be subjected to discrimination by a public entity. 42 U.S.C. § 12132; 28 C.F.R. § 35.130(a). The City and PPD are public entities within the meaning of the ADA, 42 U.S.C. § 12131(1)(A) & (B), and are therefore subject to Title II of the ADA, 42 U.S.C. §§ 12131-34, as amended, and its implementing regulation, 28 C.F.R. Part 35. 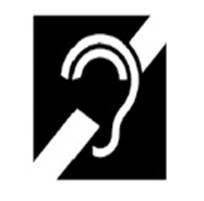 Failing to notify courts that detainees are deaf prior to video arraignments held at PPD facilities. The United States set forth its findings of fact and conclusions of law in a Letter of Findings issued on December 7, 2016. The United States, the City, and PPD agree that it is in the Parties’ best interests, and the United States believes that it is in the public interest, to resolve this matter on mutually agreeable terms without litigation. Nondiscrimination. PPD agrees not to engage in any act or practice, directly or through contracting, licensing, or other arrangements, that has the purpose or effect of unlawfully discriminating against any person with a disability in violation of the ADA. ADA Coordinator. Effective immediately, PPD will designate at least one employee to coordinate its efforts to comply with and carry out its responsibilities under the ADA and this Agreement (ADA Coordinator for Law Enforcement).1 The duties of the ADA Coordinator for Law Enforcement will include investigation of any complaint communicated to PPD alleging its noncompliance with, or alleging any actions that would be prohibited by, the ADA or this Agreement. PPD will post the name, office address, email address and telephone number of the employee or employees designated pursuant to this Paragraph on its website as well as in places open to the public, as specified in Paragraph 8. See 28 C.F.R. § 35.107(a). PPD will maintain an ADA Coordinator for Law Enforcement for the term of this Agreement. If PPD changes its ADA Coordinator for Law Enforcement, it will notify the United States in writing, and update the name and contact information anywhere it appears, within five (5) days of making such a change. Auxiliary Aids or Services. PPD will ensure that appropriate auxiliary aids and services, including qualified interpreters, are made available to all deaf and hard of hearing individuals, where such aids and services are necessary to ensure effective communication, so that they may participate in or benefit from PPD’s law enforcement and related services, programs, or activities on an equal basis as others. The type of aid or service provided will depend on the individual’s usual method of communication, and the nature, importance, and duration of the communication at issue. In some circumstances, oral communication supplemented by gestures and visual aids, an exchange of written notes, use of a computer, or use of an assistive listening device may be effective. In other circumstances, qualified sign language or oral interpreters are needed to communicate effectively with persons who are deaf or hard of hearing. The more lengthy, complex, and important the communication, the more likely it is that a qualified interpreter will be required for effective communication with a person whose primary means of communication is sign language. “Qualified Interpreter” means an interpreter who is on site or available via a video remote interpreting (VRI) service (as provided in 28 C.F.R. § 35.160(d)) and is able to interpret effectively, accurately and impartially, both receptively and expressively, using any necessary specialized vocabulary, given the deaf or hard of hearing individual’s language skills and education. Qualified interpreters include, for example, sign language interpreters, oral transliterators, and cued-language transliterators. See 28 C.F.R. § 35.104. Primary Consideration. In determining what type of auxiliary aid or service is necessary to comply with the ADA, PPD will give primary consideration to the expressed preference for a particular auxiliary aid or service by an individual who is deaf or hard of hearing. See 28 C.F.R. § 35.160. PPD must honor the choice of the individual with a disability unless it can demonstrate that another effective means of communication exists. Routine Interactions. Effective immediately, PPD will submit to the United States for its approval a proposed Communication Card for use by law enforcement personnel to communicate with persons who are deaf or hard of hearing during routine interactions. The Communication Card will include the same types of information and methods of conveying information as the sample Communication Card provided in Attachment A. Within ten (10) days of the United States’ approval, PPD will produce and provide at least one card to each law enforcement personnel who interacts with members of the community. For purposes of this Agreement, “routine interactions” means all interactions for which no imminent threat exists. See Paragraph 12 for information about imminent threats. Communication Assessment Form. In routine interactions, law enforcement personnel, in consultation with an individual who is or appears to be deaf or hard of hearing, will assess what auxiliary aids or services are necessary for effective communication, and the timing, duration, and frequency with which they will be provided using a Communication Assessment Form. The assessment will take into account all relevant facts and circumstances, including the individual’s communication skills and knowledge and the nature and complexity of the communication at issue. A Model Communication Assessment Form is attached to this Agreement as Attachment B. Effective immediately, PPD will either use Attachment B or develop and use a form similar to Attachment B. The information provided in the Communication Assessment Form will be input into a Premise History Report in PPD’s Computer Assisted Dispatch (CAD) system to inform officers of the needs of individuals with disabilities. Ongoing Need for Communication Assessments and Consultation. Law enforcement personnel will reassess communication effectiveness regularly throughout any communication with an individual who is deaf or hard of hearing and will consult that individual on a continuing basis to assess what measures are required to ensure effective communication. See 28 C.F.R. Part 35, App. A. Use of Interpreting Service Agency or Agencies. Effective immediately, PPD will maintain contracts with qualified oral/sign language interpreter agencies to ensure that interpreting services will be available on a priority basis, twenty-four hours a day, seven days a week or, in the alternative, make appropriate arrangements such as hiring qualified interpreters with availability twenty-four hours a day, seven days a week. Time for Interpreter Response. Whenever a qualified interpreter is provided by PPD, the qualified interpreter will be provided at the earliest reasonable time. In most cases during normal business hours, an interpreter should be provided within one hour of the first identification of a need. Evening, nighttime, weekend, or holiday requests may take longer, but still must be honored within a reasonable time. Use of Other Members of the Public to Facilitate Communication. PPD will not require an individual who is deaf or hard of hearing to bring another member of the public to interpret for him or her. See 28 C.F.R. § 35.160(c)(1). Where the individual who is deaf or hard of hearing specifically requests that the accompanying adult interpret or facilitate communication, the accompanying adult agrees to provide such assistance, and reliance on that adult for such assistance is appropriate under the circumstances. See 28 C.F.R. § 35.160(c)(2). PPD will not rely on a minor child to interpret or facilitate communication, except in an emergency involving an imminent threat to the safety or welfare of an individual or the public where there is no interpreter available. See 28 C.F.R. § 35.160(c)(3). Phones. PPD will provide working TTYs3, captioned telephones4 and videophones5 to enable people who are deaf, hard of hearing, or who have speech impairments to make telephone calls as often and with the same availability as individuals who do not use TTYs or videophones. PPD will also train all law enforcement personnel who interact with members of the public by telephone in the Pennsylvania Relay System (PRS) in the event that its TTY or videophone is nonfunctional. See Paragraph 14(b). 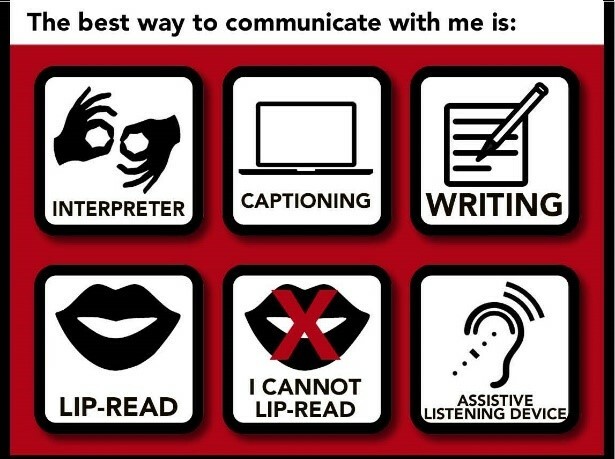 If any person who is deaf, hard of hearing, or who has a speech impairment prefers a different method of communication, PPD will make reasonable efforts to provide the communication device requested. Signage will be displayed at all public telephone areas indicating the availability of both a TTY and a videophone and the procedure for obtaining them. PPD will ensure that the privacy of telephone calls by arrestees or detainees using a TTY or videophone is equal to that of other arrestees’ or detainees’ telephone calls. Where telephone calls are time-limited, PPD will adopt policies permitting a longer period of time for individuals using a TTY, videophone, or relay service due to the slower nature of these communications as compared to voice communications. If a TTY or videophone is not available in the same location as other telephones used by arrestees or detainees, arrestees or detainees who need to use a TTY or videophone will be allocated reasonable additional time to get to and from the location of the equipment. Policies and Procedures. Effective immediately, PPD will implement policies and procedures, approved by the United States, to carry out this Agreement. Electronic Detainee Tracking System. PPD will update its electronic detainee tracking system (and any comparable tracking systems used by law enforcement personnel, including CAD) to notify law enforcement personnel of a detainee’s disability and preferred auxiliary aids and services or necessary reasonable modifications, if known. Reasonable Modification of Handcuffing Policies. When law enforcement personnel deem it necessary to handcuff a person who is deaf or hard of hearing, they will, safety permitting, reasonably modify standard operating procedure and handcuff deaf members of the public in front to better enable the person to communicate using sign language or writing. Imminent Threat. When there is an emergency involving an imminent threat to the safety or welfare of an individual (including law enforcement personnel or members of the public), and there is insufficient time to make available appropriate auxiliary aids and services, law enforcement personnel will use whatever auxiliary aids and services are most effective under the circumstances to communicate with persons who are deaf or hard of hearing, consistent with an appropriate law enforcement response to the imminent threat. When there is no longer an imminent threat, law enforcement personnel will follow its procedures to provide appropriate auxiliary aids and services, as set forth in Paragraph 9. Grievance Procedure. Effective immediately, PPD will re-distribute the City’s published grievance procedures to all agency heads; clarify that ADA complaints can be filed through its grievance procedures; and post the procedures on www.phila.gov, www.phillypolice.com, and in conspicuous locations in each of its public buildings. An overview of the range of communication disabilities affecting members of the public. An overview of the range of PPD interactions with members of the public that implicates its ADA obligations, such as responding to requests from individuals with disabilities; communication during the booking, intake, detention and arraignment processes, including telephone or videophone communication; transporting individuals with communication disabilities; and detaining individuals with communication disabilities. Information that equips law enforcement personnel to assess the need for and to secure reasonable modifications to policies, practices and procedures for individuals with disabilities. Information about PPD’s obligation to notify City agencies, such as the municipal courts, when PPD inmates or detainees arraigned at PPD facilities have disabilities that may require either auxiliary aids or services, or reasonable modifications to City policies. Instruction on how to use Attachments A and B. Within ninety (90) days of the United States’ approval of PPD’s proposed training, PPD will provide the training to all law enforcement personnel who interact with members of the public. PPD must train all newly hired law enforcement personnel who interact with members of the public within fifteen (15) days of the date of hire. All law enforcement personnel must be trained at least once during the term of this Agreement. To compensate persons aggrieved by PPD’s failure to provide effective communication, PPD will pay a total of $97,500 (ninety-seven thousand five hundred dollars) to be distributed among individuals identified by and in amounts determined by the United States. Within forty-five (45) days of the United States notifying PPD of its determination and PPD receiving both a signed release (Attachment C) and a completed and signed W-9 from an aggrieved person, PPD will distribute funds as determined by the United States. PPD will provide written notification to the United States of each payment, including a copy of the check. The total amount paid by PPD will be no more than $97,500. All records and other correspondence sent to the United States pursuant to this Agreement will be sent via email to charlotte.lanvers@usdoj.gov and to the following address by common carrier, delivery prepaid: U.S. Department of Justice, Civil Rights Division, Disability Rights Section, Attn: Charlotte Lanvers, Trial Attorney, 1425 New York Avenue NW, Washington, DC 20005. The subject line of emails and cover letters will reference Philadelphia Police Department and DJ# 204-62-226. PPD will maintain written records of all auxiliary aids or services or reasonable modifications requested by or provided to individuals with disabilities for the duration of this Agreement. Such records will include the individual’s name and contact information; a description of what was provided; if a request was made, the date of the request, the nature of the request, the determination regarding the request, the date of the determination, the names of who participated in the determination; and all other documents relating to such requests, determinations and provisions. PPD will provide records of all denied requests and the basis for the denials every six (6) months to counsel for the United States for the duration of this Agreement, beginning six (6) months from the date of this Agreement, and at any other time upon request. PPD will provide to the United States copies of any complaints alleging disability discrimination, including any written complaints, written summaries of any oral complaints, or any complaints related to PPD filed pursuant to the City’s grievance procedures every six (6) months for the duration of this Agreement, beginning six (6) months from the date of this Agreement, and at any other time upon request. PPD will provide the United States with copies of the contracts establishing the availability of interpreter services every six (6) months to counsel for the United States for the duration of this Agreement, beginning thirty (30) days from the date of this Agreement, and at any other time upon request. At least once every year, PPD will request community input from the public about disability-related issues, including whether individuals with disabilities receive auxiliary aids or services necessary for effective communication. PPD will request community input by posting the request on the City’s website: www.phila.gov and PPD’s website: www.phillypolice.com and by asking local disability organizations, including Pennsylvania’s Protection and Advocacy organization, Disability Rights Pennsylvania. PPD will consider this information when assessing its provision of effective communication and will provide summaries of problems identified by members of the public, including the names and contact information of individuals alleging problems with PPD’s disability-related interactions with members of the public every year to the United States for the duration of this Agreement, beginning one (1) year from the entry of this Agreement, and at any other time upon request. If the United States believes that PPD has violated this Agreement or the ADA, it will notify PPD and include reasonably specific information regarding the violation. PPD must correct its violations and respond to the United States within thirty (30) days of receipt of the United States’ notice. The United States and PPD will negotiate in good faith to resolve any dispute. If the United States and PPD are unable to agree on a resolution within sixty (60) days of PPD’s response, the United States may seek appropriate relief including court enforcement of this Agreement or filing a complaint in federal court under the ADA. It is a violation of this Agreement for PPD to fail to comply in a timely manner with any of the requirements in this Agreement. The Parties may agree in writing to extend any applicable deadlines specified in this Agreement. The United States will not unreasonably deny requested extensions, if made in advance of any deadline, and following PPD’s due diligence to meet such a requirement. This Agreement will remain in effect for three (3) years. Other than the violations alleged above in Paragraph 4, this Agreement does not purport to remedy any violations or potential violations of the ADA or any other federal or state law and does not relieve PPD of its continuing obligation to comply with all aspects of the ADA. This Agreement (including Attachments A-C) contains the entire Agreement between the Parties concerning the subject matter described in Paragraph 4, and no other statement, promise, or agreement, either written or oral, made by any party or agent of any party, that is not contained in this Agreement, and concerns the subject matter described in Paragraph 4, will be enforceable. If any provision of this Agreement is determined to be invalid, unenforceable, or otherwise contrary to applicable law, such a provision will be restated to reflect as nearly as possible and to the fullest extent permitted by applicable law its original intent and will not, in any event, affect any other provisions, all of which will remain valid and enforceable to the fullest extent permitted by applicable law. This Agreement will be binding on both the City and PPD, their subsidiaries, agents, employees, officers, contractors, and any successors in interest. Failure by the United States to seek enforcement of any provision or deadline of this Agreement will not be construed as a waiver of the United States’ right to enforce any deadlines or provisions of this Agreement. The Parties agree that, as of the date of this Agreement, litigation is not “reasonably foreseeable” concerning the matters described in Paragraph 4. To the extent that any of these parties previously implemented a litigation hold to preserve documents, electronically stored information, or things related to the matters described in Paragraph 4, the party is no longer required to maintain such a litigation hold. Nothing in this Paragraph relieves any party of any other obligations imposed by this Agreement. The signatories represent that they have the authority to bind the respective parties identified below to the terms of this Agreement. By their signatures below, the parties respectfully consent to the execution of this Agreement. 1 This designation does not require the creation of a new full-time position. 2 “Law enforcement personnel” means all PPD staff and related law enforcement employees and volunteers. 3 “TTY” means a device that is used with a telephone to communicate with persons who are deaf or hard of hearing by typing and reading communications. 4"Captioned telephone" means a device with a voice recognition program that creates and sends captions to persons who are deaf or hard of hearing. 5 “Videophone” means a device with a video camera that can perform bi-directional video and audio transmissions between people in real-time. 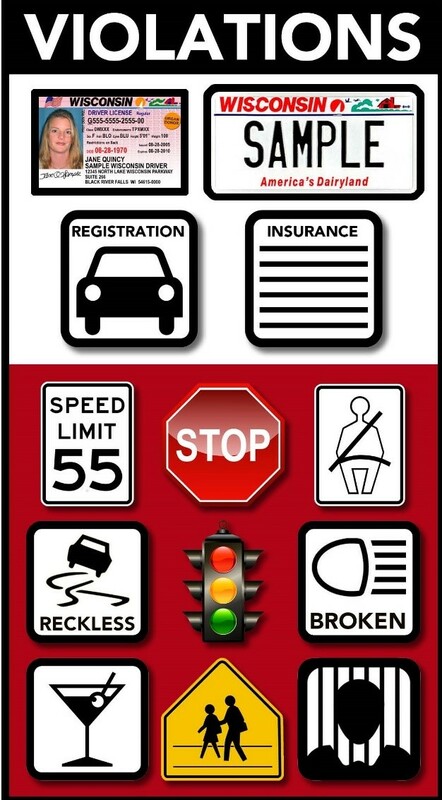 We ask for this information so we can communicate effectively with individuals with disabilities. All communication aids and services are provided FREE OF CHARGE. If you need further assistance, please ask [insert the name and title of the Arresting Officer, Desk Sergeant, or other Police Department Personnel who the individual should contact]. Does the person with a disability want a qualified interpreter or an oral interpreter? 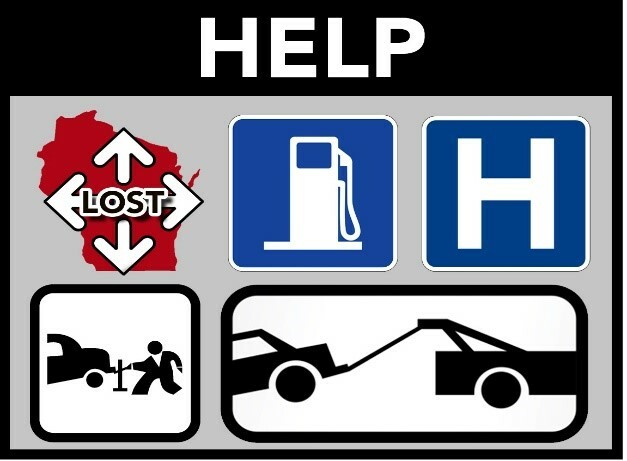 Which of the following would be helpful for the person with a disability (free of charge)? If the person with a disability is IN CUSTODY, which of the following should be provided for communication with Police Personnel, Family, Companion, and Attorney?